The GXP1615 is a real workhorse and is ideal for basic business users. This simple IP phone has all the features you need to be productive, packed into a clean, user-friendly device. It’s a standard business phone that supports 1 SIP account and 2 line keys with Power over Ethernet support. And with a full duplex speakerphone with HD audio, you get a great sounding phone for not a lot of money. The phone also features a backlit 132 x 48 pixel display for easy viewing and EHS (Electronic Hook Switch) support for headset connection. 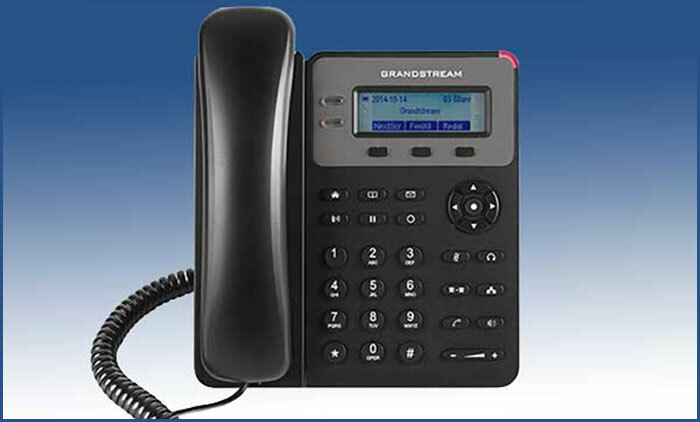 This is Grandstream’s entry-level business phone that satisfies small businesses with full VoIP features at a very affordable price.